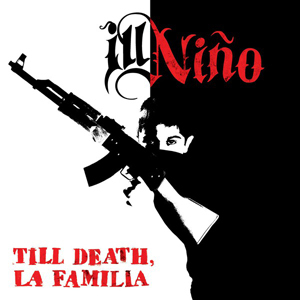 ILL NINO has released a video for “Blood Is Thicker Than Water”, the third one from the album Till Death, La Familia, which is available in stores and digitally everywhere. Watch the video for “Blood Is Thicker Than Water” on KNAC.COM right HERE. After wrapping up the Civil Unrest Tour 2015, their first US tour since 2014’s Mayhem Festival, ILL NINO hit the European festival circuit, including a performance at Wacken Open Air in Germany, and a South American appearance at Rock al Parque in Colombia. The band is slated for back to back performances in the Philippines on September 25th and 26th, with more US and international dates to be announced soon.